Commercial Heating, Winter Haven, FL | Johnson’s Mechanical Inc. Commercial Heating, Winter Haven, FL | Johnson’s Mechanical Inc.
Our goal is always to keep your commercial heating system working its best in Winter Haven. Is your office an icebox, even though the heat is running consistently? Are your employees complaining that their work environment isn’t warm enough, even though the thermostat is set high? Have you recently experienced a problem with your commercial heating system and you need a professional to take a look? At Johnson’s Mechanical Inc., we are prepared to assist you with all your commercial heating needs in Winter Haven, Florida, from a minor repair to a major concern or new installation. We know that your commercial heating system is critical to the operation of your business each day, and we’ll work diligently to ensure that you see excellent results. From installation to repair and routine maintenance, at Johnson’s Mechanical Inc., our goal is always to keep your commercial heating system working its best. Our honesty and the integrity of our workmanship set us apart when it comes to other commercial heating and cooling companies, and we know you’ll see great results when you choose us for all your needs. Our professional technicians offer fast, reliable services, and your satisfaction is important to us, so we won’t give up on your commercial heating system until the job is done right. If you have questions about our services or your commercial heating system needs attention, please contact us at Johnson’s Mechanical Inc. today for more information. We service all residential and commercial heating makes and models, and our number one goal is to provide customer satisfaction when you contact us for repairs and maintenance. 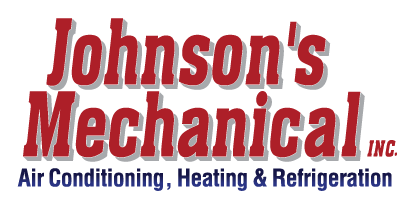 For all your commercial heating and cooling needs, let our team at Johnson’s Mechanical Inc. be your number one choice.